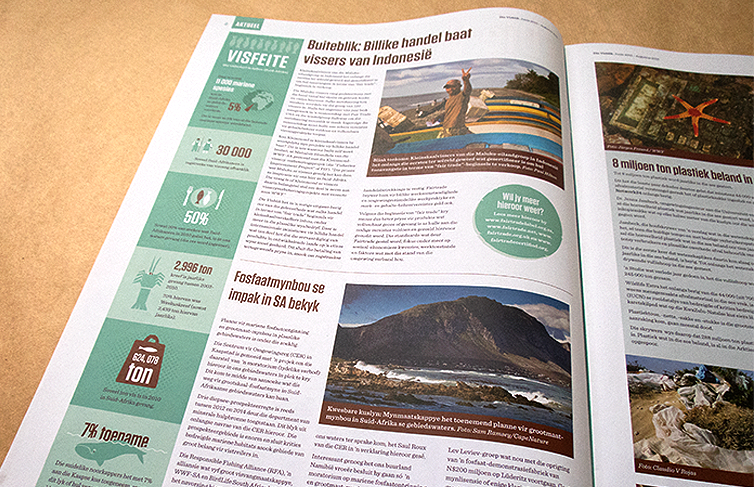 Die Visblik (The Fish Tin in English), is an Afrikaans tabloid aimed at bringing fishing news, information and educational snippets to the local fishers around the Western Cape. 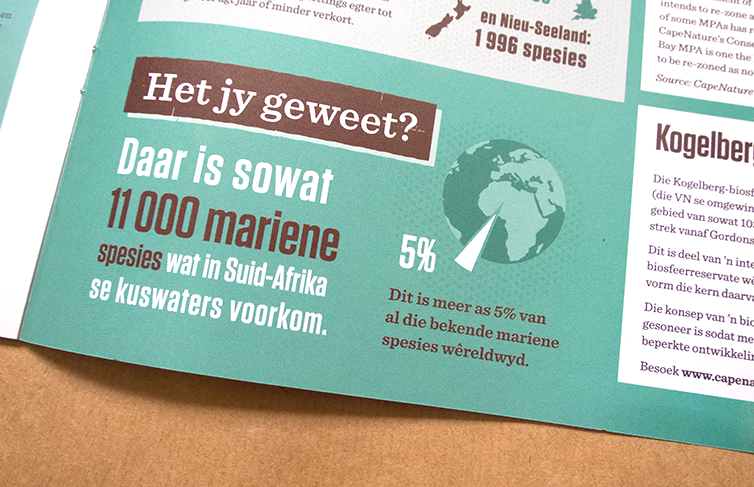 With the overfishing and general lack of care for the South African coastline, WWF-SA and Sassi identified a need to provide local small scale fishers with information that would benefit their fishing needs. 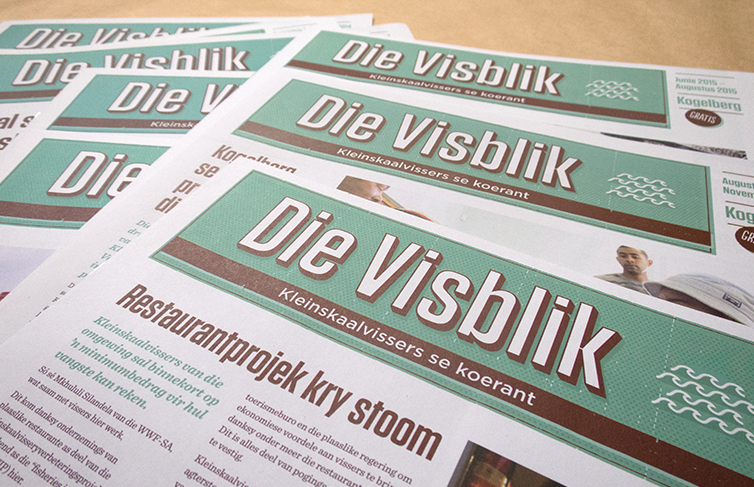 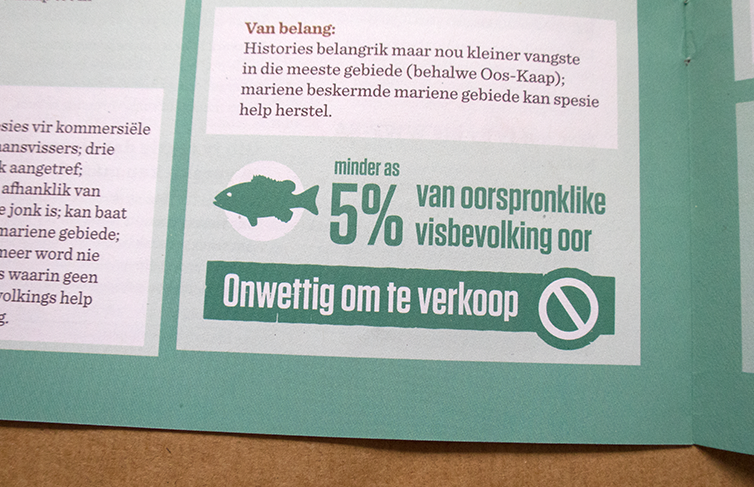 Given our target audience, we decided to make Die Visblik tabloid style. 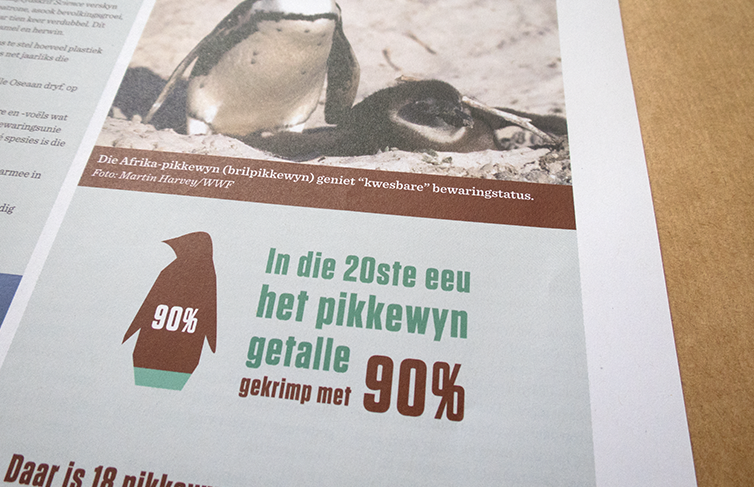 Tabloids/newspapers are often recognised as important information baring publications. 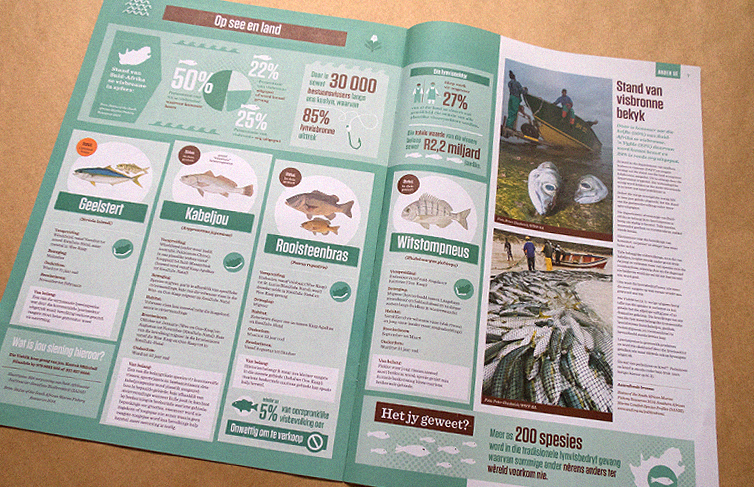 We decided to use simple shaped but detailed graphic icons to create interest around the various news, facts and stories. 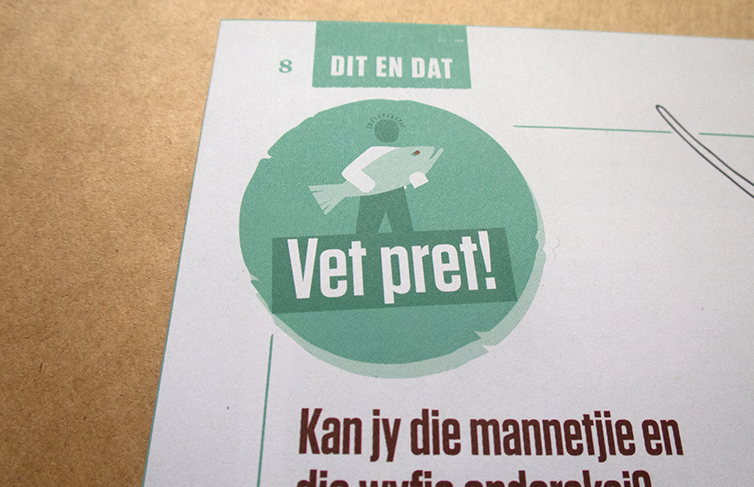 The simple colour combination also creates a sense of comfort and familiarity to regular newspapers.